In Kenya – Pick your copy from branches of Nakumat, Naivas and Chandarana nationwide, from iServe Africa conferences and events, from iServe Africa Bookstore, from selected Christian bookshops and retailers (including: Keswick Books & Gifts, Evangel Publishing, ACTS bookshop, All Saints Cathedral bookstall, Theovision, Bookstop Yaya, Nippon JKIA, All Fine Village Market) or from a number of street vendors in Nairobi. In Uganda – Available from branches of Aristou, Tuskys and Nakumat. In Kenya – M-PESA KES 350 (inclusive of p & p) to iServe Africa Paybill no. 939400 (account: Conversation) and follow that up with an SMS with your address and we will post your copy to you. 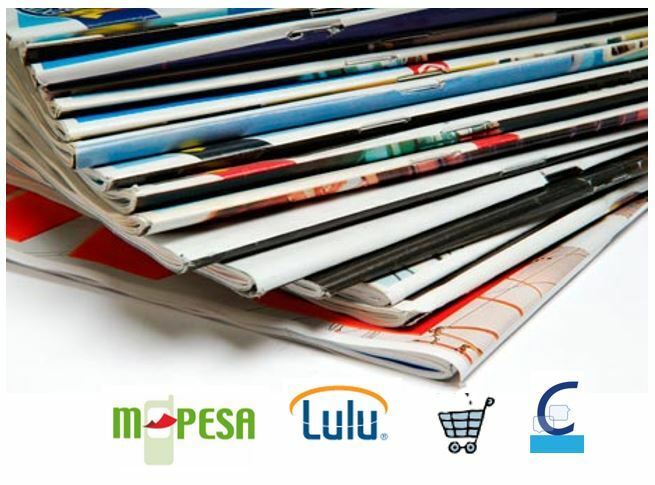 Churches in Kenya – Why not ask your pastor to get a bundle of magazines for your church? If you are a pastor or run a church bookshop please get in touch with us and we can discuss how to get you the number of copies you need. In Kenya – MPESA KES 300 to iServe Africa Paybill no. 939400 and supply your email address and we will send you the Conversation E-copy. In North America, Europe or Australia – buy at Lulu. If you are interested in distributing Conversation Magazine then get in touch with us for special bulk deals.